Christmas 2016 has come and gone and now the ministry pause happens before the realization of 2017 hits us. After such a busy time of year, it’s an excellent time to rest and start planning how the new year will be the best ever. If you’re like most active churches, there are many church communication tasks to accomplish. Set up a master communication calendar. It’s time. Set up a digital, paper, or marker board calendar that has EVERY ministry event on it. Add holidays and major community events so you can avoid conflicts. Consider your church families’ time in a week. Put yourself in their shoes and think about unnecessary demands on their time (i.e. children, students, parents). Establish deadlines with other ministry leaders for required elements so you have time to accomplish communication elements. Tier your ministries. With the calendar in place, you’ll discover possible conflicts, so certain ministry events must take priority (to bump other events). If “everything” in your church is important, nothing is noticed in the cacophony. All-church events must take precedence. All-ministry events (designed for an entire ministry’s reach) come next. Other events that are for smaller groups must follow behind. Tiers then dictate the communication elements (website, videos, posters, bulletins, etc) available for promoting the event. An exception to the tier system? If an event emphasizes your scarlet thread, it should be promoted more. Establish your scarlet thread. The Bible’s books are united by the thread of Christ’s blood that weaves itself through every chapter. Your ministries (in order to tear down ministry silos) must have a unifying theme or benefit. This is your church brand’s scarlet thread. Your church must start to control what you’re known for so your message resonates deeper into your community. This controlled thread message must be communicated consistently throughout the year in creative ways so your internal and external audiences understand and can verbalize it quickly. Such as: “Why do I go to my church? Because I really benefit from the __________. 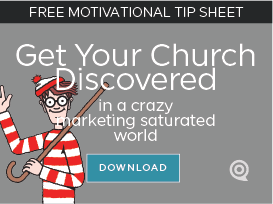 I can’t get it anywhere else.” Plan your calendar and tiers to emphasize this central solution so your church can attract your community to the message of Christ. 2017 needs to be the year your church begins to understand your congregation and community so that you reach into their world with the solution of Jesus Christ. 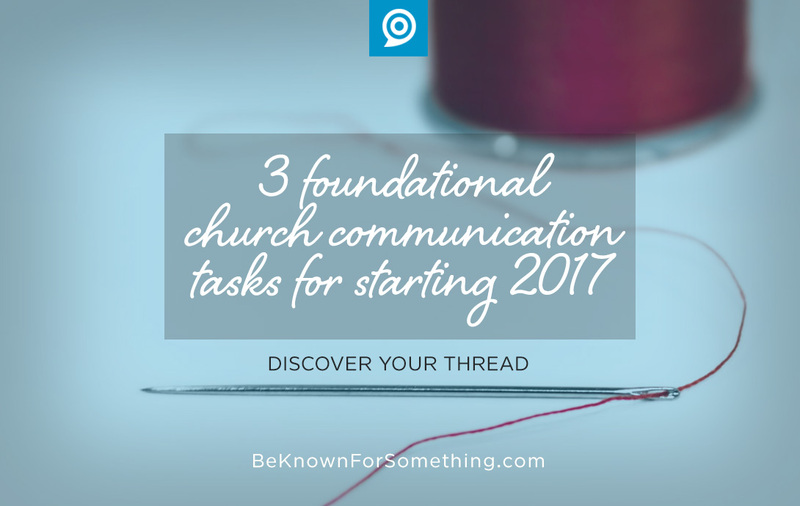 Let this be the best church communication’s year ever!